Clean, fresh air. Like many of life’s good things we often take for granted. We should all take a few minutes to consider how vitally important our air quality is. At home, in public places & in the work place. 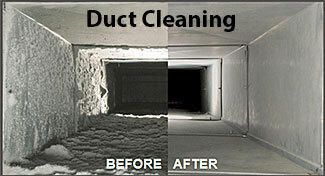 The only way to provide yourself with superior IAQ (Indoor Air Quality) is to keep your furnace & duct work CLEAN! 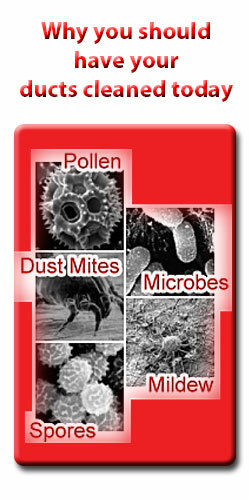 Recent studies have shown that indoor air quality can be up to 100 times more polluted than outdoor air! For example, new housing & insulation upgrades are designed to be more energy efficient but because of these upgrades indoor contaminants can remain trapped inside! Major causes of poor Indoor Air Quality (IAQ) are bacteria, fungi, dirt, pollen, hair, dust & other debris that is left in the furnace system & duct work of many buildings. Some homeowners, landlords & property management firms are “penny-wise & pound foolish” & do not maintain good IAQ standards by maintaining regular cleaning & servicing of their furnace & duct systems. The problem just builds up over time. Moisture, warmth & dust found in many heating, ventilation & air conditioning (HVAC) systems create breeding grounds which are ideal for germs, mold & fungi to grow & to spread. Occupational Safety & Health Administration reports that 21 million people in the United States alone suffer from indoor air pollution & many illnesses & allergic reactions can be traced to poor maintenance of duct & furnace systems. 50% of all Indoor Air Quality (IAQ)problems are related to poor ventilation - National Institute for Occupational Safety & Health report. When was the last time you had your systems thoroughly cleaned? With the average home or office accumulating over 40 pounds of dust each year your lungs would really appreciate this service! Furnace and Duct cleaning saves you time AND money because dusting becomes far less frequent & your indoor environment is more energy- efficient than before. How valuable is the quality of your air? With so much time spent indoors this question should go beyond just monetary considerations. You deserve to live in a clean & healthy environment. It extends the operating life of systems & improves efficiency. You want to minimize your heating costs. It reduces cleaning & dusting requirements. Avoiding fire hazards should be a priority.